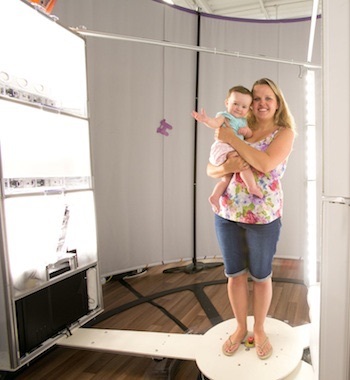 The Artec scanning booth, equipped with wide-view, high-resolution 3D scanners and a rotation rig, takes just 12 seconds to scan a person. The Artec algorithms automatically fuse 700 captured surfaces into a detailed printable file. This digital model is then sent to the Asda 3D printing centre to be made into an 8" mini-statue in full colour which can be collected from the store just one week later. Asda’s unique 3D printing technologies allows the processing of a huge volume of high quality figurines at a time, while the prints costs just £60. Phil Stout, Asda Innovation Manager – Asda is fast becoming, not just a retailer but, a technology company and this innovation is another example of how we’re leading the way on in store consumer facing technology. We’ve been working with Artec technology for a while now and we're delighted to be the first company in the world able to offer our customers this unique service.